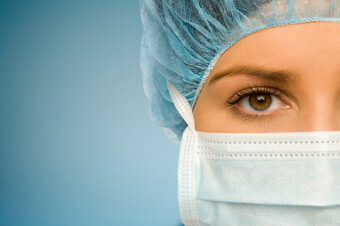 Opportunity In Surgitels & Medical Travel? Jackie G, a 23 y/o investment banker and avid tennis player, has arrived at the Meyers Palo Alto Surgitel following her arthroscopic shoulder surgery in a facility across the street from the hotel. Jackie lives in Denver, but came to Palo Alto because of the reputation of her surgeon, Dr. Meyers, who charged a lot less than her Denver based orthopedist. MedVoy has recommended she spend the first postoperative night at the Meyers Surgitel Suite because of its reputation for catering to patients needing accommodations following discharge from a medical facility or needing a place to stay while getting outpatient treatment. Jackie is accompanied by her girl-friend, Sara, who will be watching over her. Fortunately, everything went smoothly with Jackie’s operation and she was discharged from the Palo Alto Surgicenter at about 3Pm that afternoon. A hotel van takes Jackie and Sara from the Surgicenter to the Meyers Surgitel. They arrive via a private entrance with a wheelchair ramp and are met by a hotel greeter who wheels Jackie in her wheelchair to her room. Jackie and Sara have been preregistered. The room is on the ground floor with spectacular, soothing views , just right for a patient who needs rest and relaxation. The room looks like no room she has stayed in before…part hospital, part hotel. All the surfaces are antibacterial and the bedroom and bathroom have guard rails, walk-in tub and antibacterial soap to clean her wounds. The sink in the bathroom has fixtures that allow her to turn on the water with her elbows, an advantage for someone who arm is in a sling. Her friend, Sara, is staying next door and can enter through a common door. There is a small kitchen so Sara can make Jackie a bowl of oatmeal for breakfast. The room service menu accommodates her special post op needs as does part of the menu in the hotel restaurant. An inconspicuous storage locker has medical supplies and wound dressings for medical professionals who might come to the room to visit her before she leaves for home. Her postoperative pain medicine has been delivered to her room, thanks to an arrangement made with a local pharmacy chain. She attaches her cooling shoulder apparatus. A computer monitor allows her to communicate with her doctor and the doctor’s staff as well as her children back home. It also asks her to review a video of postop instructions before she leaves and confirms that she has done so. During the night, Jackie is awakened with pain in her shoulder. She calls the medical concierge who has the contact information for the orthopedist taking call for Dr. Meyers. Within minutes, she gets a call and is reassured that this is a normal event following her surgery. Soothed by the presence of her Shetland sheepdog, Charlotte, sleeping next to her, she has an uneventful night. After breakfast on the deck of her room, Jackie and Sara check out online, the bellhop takes their bags and they leave through a private exit to a waiting vehicle that will take both Sara and Jackie to her surgeon for a postop check (if she can’t come to her room) and then to a relaxing three day recuperation at a local spa arranged by MedVoy as part of her medical travel experience. They even allow pets. Much to her surprise, a few months after returning home, Jackie receives a check from her health insurance company as a reward for helping them keep down medical costs. Jackie bought a new tennis racket.